Grantham Museum required a large touchscreen showing the Grantham of Sir Isaac Newton who was born near the town and went to school there. Media Vision developed the touchscreen software and created the artwork, with installation by Concept Productions. 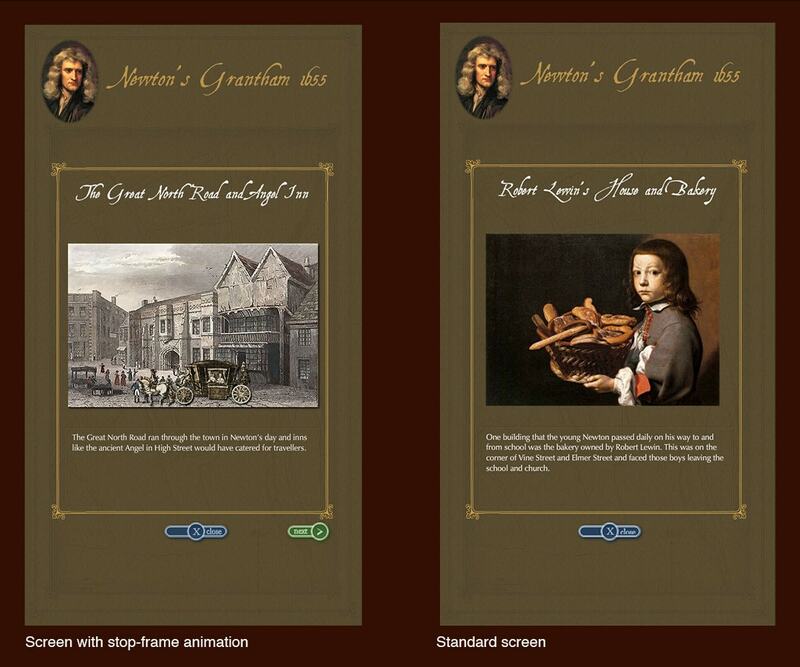 The interactive includes audio and animation. Creative direction and content was by Grevatte and Co. 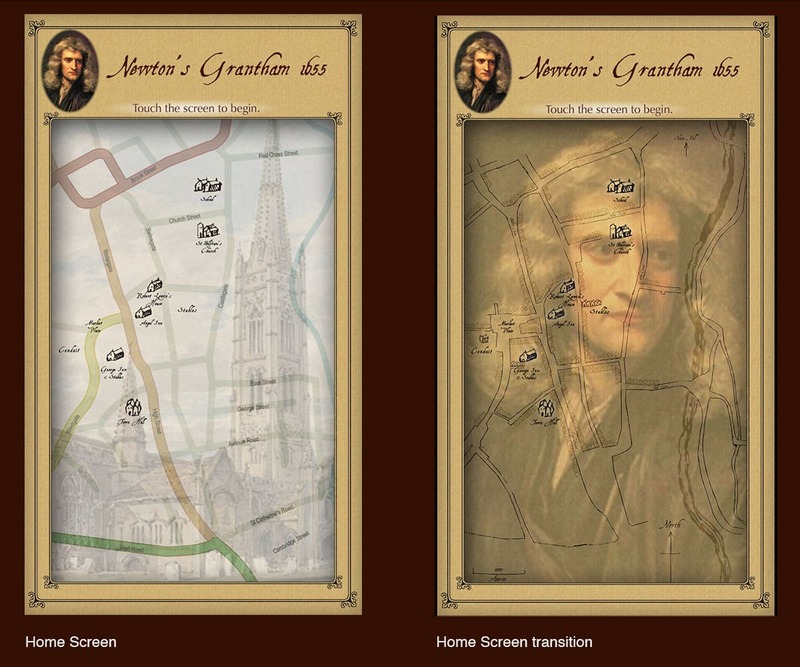 The initial attractor screen features a map of 17th century Grantham cross-fading with a map of modern Grantham. The visitor can touch hotspots on the map to find out more about 17th century Grantham and what it would have meant to Newton.